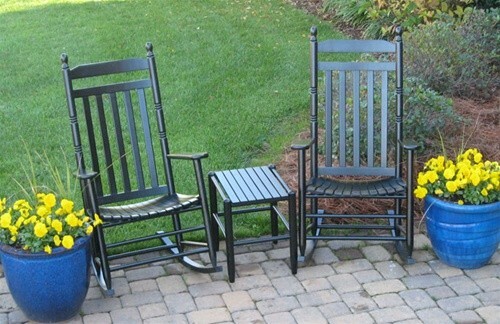 This beautiful three piece rocking chair set is ready to complete your back porch or sun room. 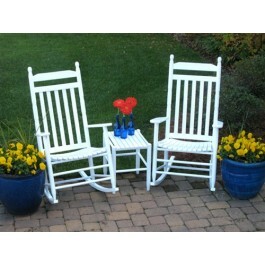 This set includes two slat backed wooden rocking chairs and one side table. All three pieces are shipped fully assembled. All you have to do is affix the runners to the chairs, and enjoy. 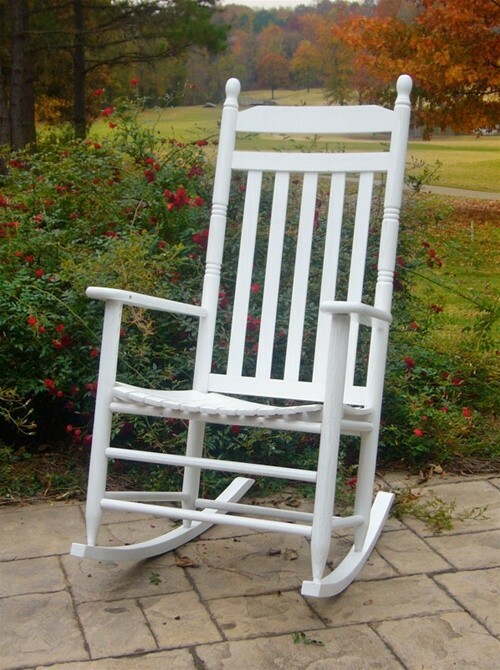 The classic country slat back design of each chair offers the truly classic rocking chair look--the quintissential rocking chair style that brings back so many memories. 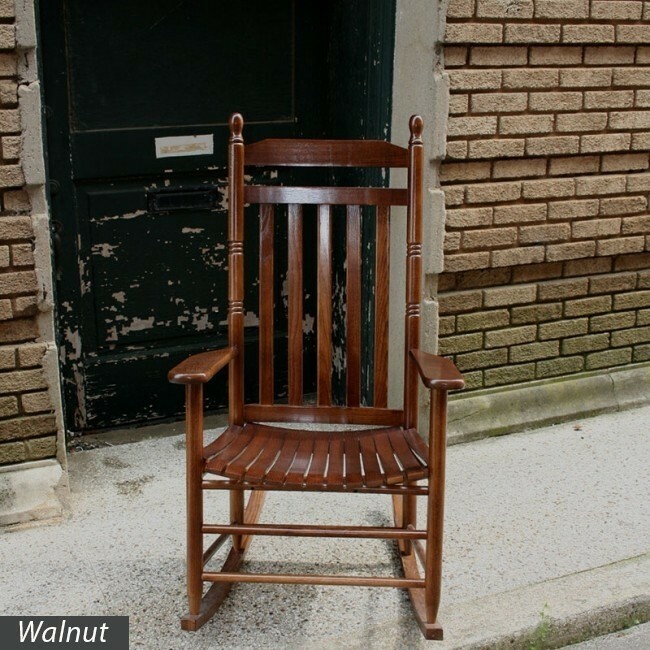 These durable pieces are ready to last a lifetime thanks to their extremely durable North American Ash or North American Hickory hardwood construction. 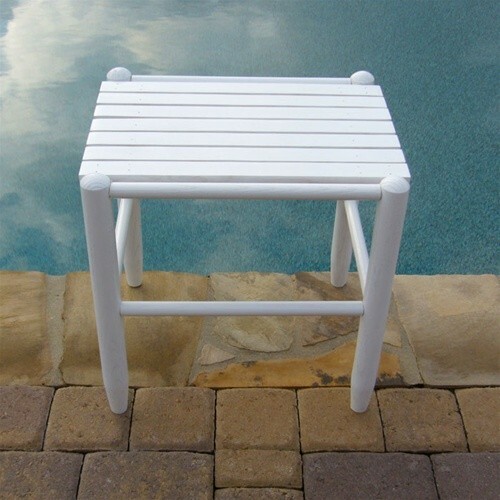 The chair's glue-free construction of swollen interlocking joints makes it even sturdier. Every piece in the set is unique, with its own character and personality, but a matching finish still ensures that they all work together as a cohesive group. Enjoy your set in white or black, or purchase it unfinished so that you can stain it, paint it, or match it to your own decor. 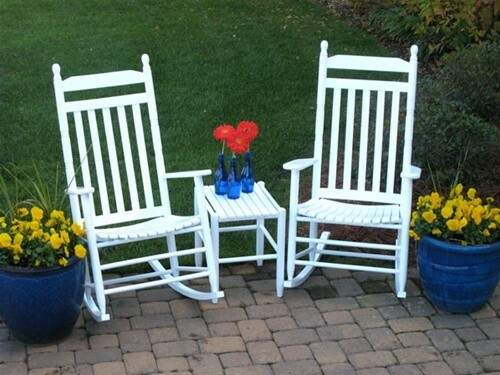 Grab a lemonade and engage in the classic rocking chair tradition by spending some quiet time with friends and loved ones. It's time. 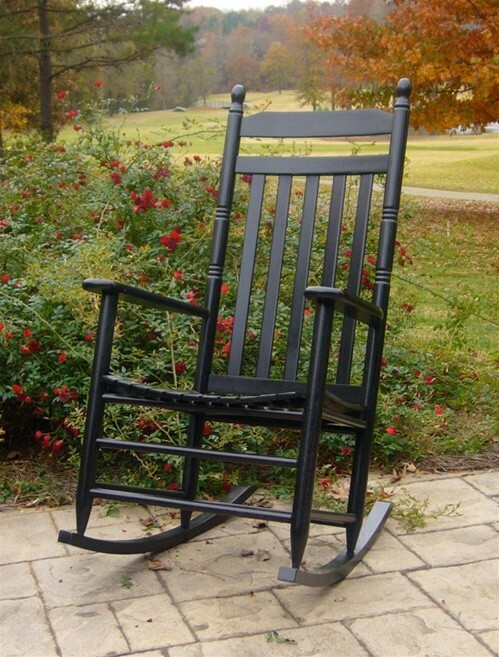 Order your Country Style Slat Back 3 Piece Rocking Chair Set today.